[S153] Charles Nelson Sinnett, Sinnett's Sewall genealogy, p. 67. [S89] Family Search, Maine, Deaths and Burials, 1841-1910 [sic.]. [S392] Website findagrave.com (http://www.findagrave.com/) "# 46708675." [S89] Family Search, Maine, Vital Records, 1670-1907. [S577] Eben Graves, The descendants of Henry Sewall. Vol. II (Unpublished), #591. [S207] 1910 US Census, Maine; Androscoggin; Durham; District 11. [S208] 1900 US Census, Minneapolis Ward 8, Hennepin, Minnesota. [S205] Newspaper, Bismarck weekly tribune. (Bismarck, Dakota [N.D.]), February 17, 1899, Image 3. [S232] Ancestry.com, Minnesota, Marriages Index, 1849-1950. [S232] Ancestry.com, Oregon, Death Index, 1898-2008. [S89] Family Search, United States Deceased Physician File (AMA), 1864-1968. [S153] Charles Nelson Sinnett, Sinnett's Sewall genealogy, p. 55. [S232] Ancestry.com, U.S. Civil War Soldier Records and Profiles. A stroke, followed by other complications, resulted in the death Saturday of George Mitchell Sewall, 75, who was until the time of his retirement in 1925 superintendent of the J. I. Case company's Main works. Mr. Sewall, the son of David A. and Harriett C. Sewall, was born March 6, 1864, in Island Falls, Maine. In 1880, he went to Minneapolis and from there in 1893 to St. Paul, where he was employed by the Walter A. Wood Harvester Co. until 1897, when he came to Racine. He and Etta M. Parker were married May 26, 1887. Fraternally, Mr. Sewall was a life member of Belle City Lodge No. 92, F. & A. M. and also was affiliated with Orient Chapter No. 12, R. A. M; Racine Council No. 5, R. & S. M., the Acacia club and Lakeside Camp No. 379, Modern Woodmen of America. Funeral services will be held Tuesday at 2 p.m. in Masonic temple. Burial will be in Mound cemetery. Friends may call tonight at the Thronson funeral home. The body will lie in state at Masonic temple from noon Tuesday until service time. [S205] Newspaper, Racine Journal Times, January 19, 1949. [S232] Ancestry.com, Minnesota Territorial and State Censuses, 1849-1905. 1895. Ramsey. St Paul Ward 2. [S205] Newspaper, Racine Journal Times, November 27, 1939. [S153] Charles Nelson Sinnett, Sinnett's Sewall genealogy, p. 52. [S205] Newspaper, Portland Press Herald (ME) - February 18, 1995. [S34] Unverified internet information, First Parish Cemetery Burial List. http://www.fpyork.info/slist.html (December 2008). [S364] Eben Graves, The descendants of Henry Sewall. Vol. II (Unpublished), #352. [S232] Ancestry.com, Illinois, Deaths and Stillbirths Index, 1916-1947. [S205] Newspaper, Chicago Tribune, 30 July 1946. [S208] 1900 US Census, Chicago Ward 12, Illinois. [S89] Family Search, Vital records, 1802-1892 (1918) Chesterville (Maine). Town Clerk. [S89] Family Search, Vital records, 1802-1892 (1918) Chesterville (Maine). [S392] Website findagrave.com (http://www.findagrave.com/) "# 46708739." [S154] 1860 US Census, Massachusetts, Middlesex, Charlestown, 433. [S107] 1880 US Census, Boston, Massachusetts. [S232] Ancestry.com, New Hampshire, Death and Burial Records Index, 1654-1949. "He accompanied his parents to Farmington as a child, where he attended the Farmington Academy. Being unable to afford a college course, he started the study of medicine, with his uncle, Moses Shaw, but finding this distasteful to him he determined upon the law as a profession and entered the office of the Hon. Hiram Belcher, where he studied the subject to such good purpose, that he was admitted to the Maine bar, in 1833, when but twenty-two years of age. He settled for a time at Dexter, but in June 1835 removed to Old Town, which was then growing rapidly and was the largest lumber working town in the country. Here he engaged in the practice of his profession, and rapidly made his way to a position of leadership therein. In 1842 he was elected to the Maine legislature and was eight times returned to that body. He was Speaker of the House in 1851-52. From 1853 until 1857 he held the office of Collector of Customs at Bangor. 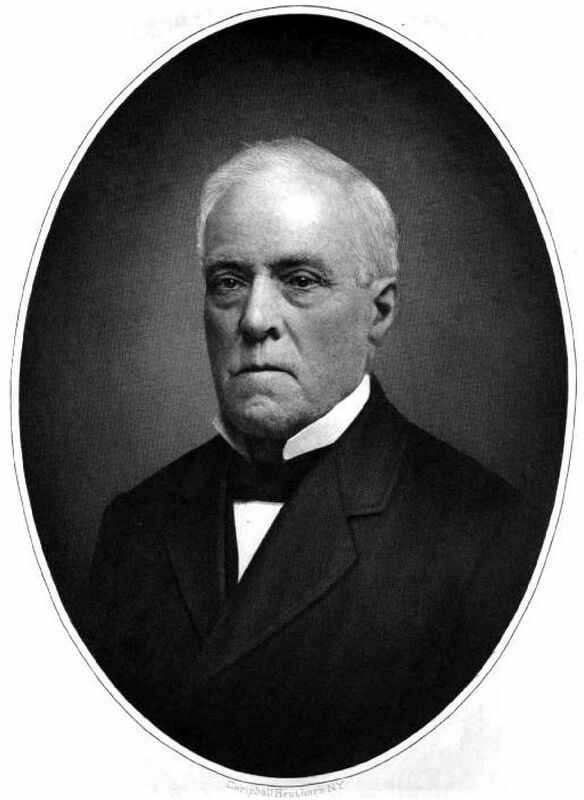 In 1862, although a Democrat, he was appointed Assessor of Internal Revenue by Abraham Lincoln and continued in that office until 1869. In all the public posts held by Mr Sewall he exhibited a capacity and disinterestedness, which gained him a high place in the esteem and affection of the community and there were few figures in Maine, better known or better loved than he. During the Civil War he performed a valuable service for his country, it being largely through his influence and exertions that two full companies of soldiers were enlisted principally from Old Town to fight for the cause of the Union. In spite of his party affinity, he was returned to Augusta as Old Town's representative at the outbreak of the war by a vote of 381 to 17. He worked incessantly during the four years of that tremendous struggle and exerted a wide influence both in the State, and in the Nation" Maine: a history, 1919. [S153] Charles Nelson Sinnett, Sinnett's Sewall genealogy, p. 42. [S495] Pennsylvania Genealogical Magazine, Pennsylvania families, Vol. II. p. 385. [S130] Massachusetts Vital Records, Vol: 220 ; Page: 166. [S364] Eben Graves, The descendants of Henry Sewall. Vol. II (Unpublished), #134. [S392] Website findagrave.com (http://www.findagrave.com/) "# 63819717." [S392] Website findagrave.com (http://www.findagrave.com/) "# 57665210." [S205] Newspaper, Bangor Daily Whig & Courier, (Bangor, ME) Thursday, July 14, 1870. [S153] Charles Nelson Sinnett, Sinnett's Sewall genealogy, p. 43. [S160] New York Times, 22 Oct 1993 p. B9. [S205] Newspaper, Union-News 21 Oct 1993. [S160] New York Times, 4 Aug 1964 p. 22. [S232] Ancestry.com, Ohio Deaths, 1908-1944 and 1958-2002. [S232] Ancestry.com, U.S. Veterans Gravesites, ca.1775-2006. [S392] Website findagrave.com (http://www.findagrave.com/) "# 1170383." [S153] Charles Nelson Sinnett, Sinnett's Sewall genealogy, p. 34. [S89] Family Search, Town and vital records, 1681-1893 (1908) Scarborough (Maine). [S365] Eben Graves, The descendants of Henry Sewall. Vol. II (Unpublished), p. 348. [S392] Website findagrave.com (http://www.findagrave.com/) "# 60231901." [S153] Charles Nelson Sinnett, Sinnett's Sewall genealogy, p. 48. [S89] Family Search, Massachusetts, Deaths, 1841-1915. [S364] Eben Graves, The descendants of Henry Sewall. Vol. II (Unpublished), #698. [S89] Family Search, Maine, Faylene Hutton Cemetery Collection, ca. 1780-1990. [S206] 1920 US Census, Wilton, Franklin, Maine. [S153] Charles Nelson Sinnett, Sinnett's Sewall genealogy, p. 47. [S89] Family Search, Massachusetts, Marriages, 1841-1915. [S89] Family Search, Florida Death Index, 1877-1998. [S89] Family Search, Massachusetts, Births, 1841-1915. Dr. Gilbert O. Sewall, 4204 Woodleigh Ln., Pasadena, has been appointed by Gov. Edmund G. Brown to the board of Dental Examiners of California, replacing Dr. James S. Craig of West Los Angeles whose term expires Jan, 13. Dr. Joseph B. Weeden of Menlo Park also was named to replace Dr. D. Roy Grant or San Mateo. Dr. Sewall, a Republican, is a native of Ogden, Utah, and was raised in Morro Bay, Calif., graduating from San Luis Obispo High School. He received his DDS degree from the University of Southern California in 1938 and has practiced in Los Angeles since that date except for service in World War II, as a dental surgeon with the 34th Infantry Division in Italy. He holds the Purple Heart and Bronze Star medals and is active in the American Legion. He is editor of the Los Angeles Dental Society's publication "D.D.S." [S231] 1930 US Census, Montpelier Ward 2, Bear Lake, Idaho. [S89] Family Search, California, Death Index, 1940-1997. [S205] Newspaper, Pasadena Independent, 6 January 1962. [S153] Charles Nelson Sinnett, Sinnett's Sewall genealogy, p. 21. [S208] 1900 US Census, Pasadena Precinct 3, Los Angeles, California. [S205] Newspaper, The New York Herald, (New York, NY) Monday, December 18, 1843. [S205] Newspaper, The New York Herald, (New York, NY) Tuesday, January 04, 1848. [S154] 1860 US Census, Dover Ward, Strafford, New Hampshire. [S209] 1870 US Census, New Haven, Connecticut. [S232] Ancestry.com, California, Death Index, 1905-1939. [S107] 1880 US Census, San Gabriel, Los Angeles, California. [S149] American Ancestors, , Deaths from the New York Evening Post, 1801-1890. [S205] Newspaper, The New York Herald, (New York, NY) Friday, May 23, 1845. [S208] 1900 US Census, California, Los Angeles, Los Angeles Ward 9, District 86. [S209] 1870 US Census, Hamilton, Hancock, Illinois. [S89] Family Search, Utah, Salt Lake County Death Records, 1908-1949. [S154] 1860 US Census, Hamilton, Hancock, Illinois. [S232] Ancestry.com, Illinois Marriages, 1851-1900. [S107] 1880 US Census, Quincy, Adams, Illinois. [S232] Ancestry.com, Iowa State Census Collection, 1836-1925. [S159] James Edward Greenleaf, Greenleaf family. [S392] Website findagrave.com (http://www.findagrave.com/) "# 39000720." [S392] Website findagrave.com (http://www.findagrave.com/) "# 57556544." [S392] Website findagrave.com (http://www.findagrave.com/) "# 63768701 M.I." [S89] Family Search, Ohio, Death Index, 1908-1932, 1938-1944, and 1958-2007. [S205] Newspaper, The Herald, Sharon, PA, 17 April 2002. [S206] 1920 US Census, Saint Louis Park, Hennepin, Minnesota. [S232] Ancestry.com, U.S., World War I Draft Registration Cards, 1917-1918. [S232] Ancestry.com, U.S. National Cemetery Interment Control Forms, 1928-1962. [S231] 1930 US Census, St Louis Park, Hennepin, Minnesota. [S153] Charles Nelson Sinnett, Sinnett's Sewall genealogy, p.11. [S205] Newspaper, New York American, 20 January 1937. [S89] Family Search, New Hampshire, Death Certificates, 1938-1959.